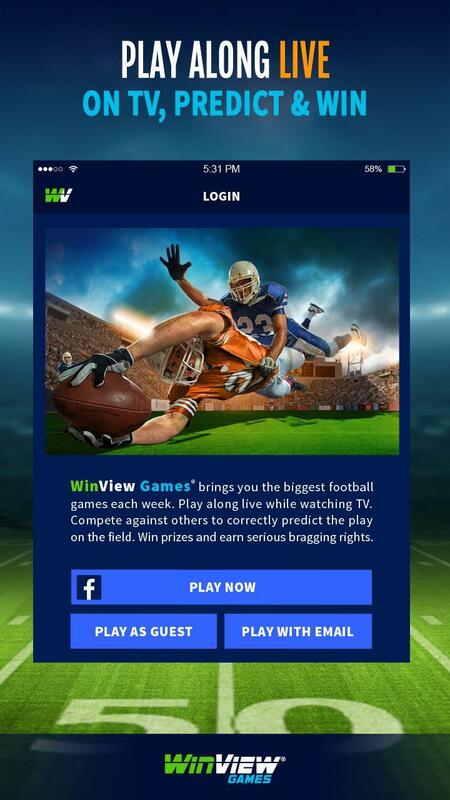 WinView Games is a no-risk, 100% free to play predictions game with cash payouts given out every quarter. With its groundbreaking (and patented!) 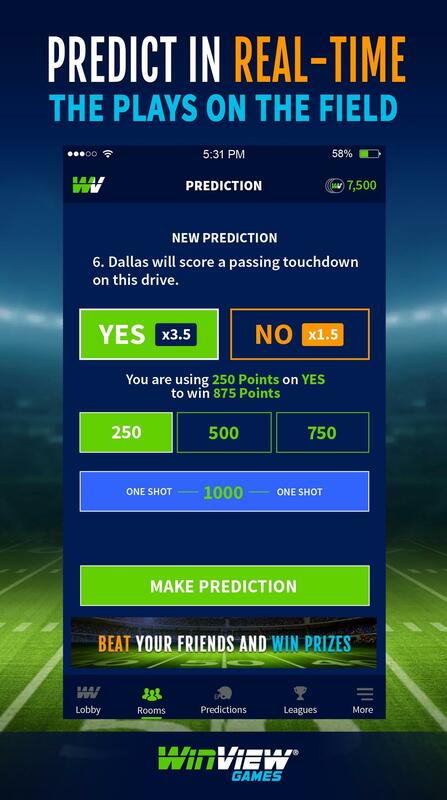 gameplay, it’s all about making live NBA and NCAA predictions when a game is on TV, such as “Will Golden State or Cleveland make the next 3 point shot?” WinView players make a “YES” or “NO” prediction about these types of propositions while competing against other fans and friends. 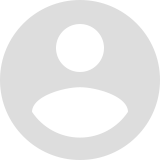 If you’re right, you win cash for correctly predicting the plays on the court. If you’re wrong, you get to keep on playing for free. The best part? WinView is legal to play in every U.S. state! Learning how to play is easy, fun and intuitive. 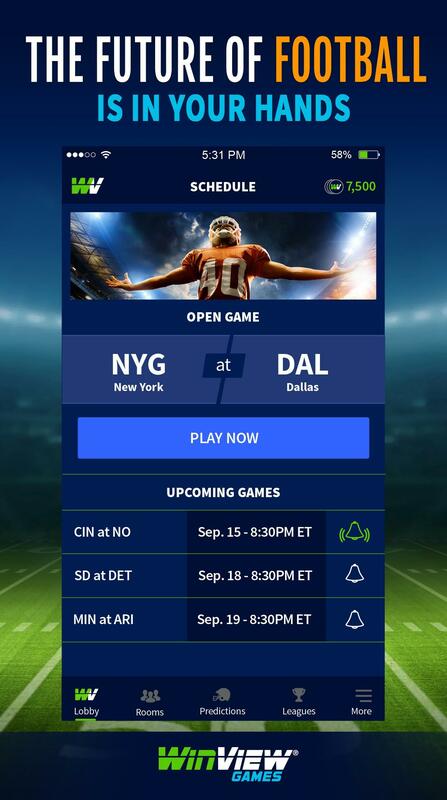 Each week, WinView’s game producers bring you the biggest NFL and NBA games that you’re already watching live on TV...only now, you’re in the game! 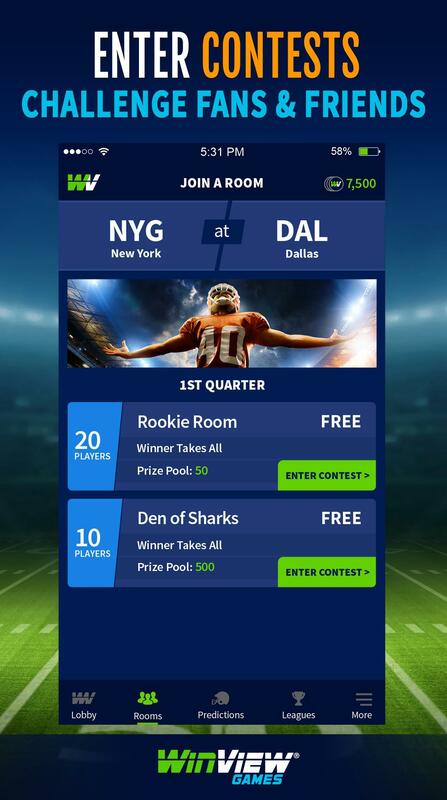 Log into the app, choose a game, join a room and enter a contest that lasts 1 sports quarter. 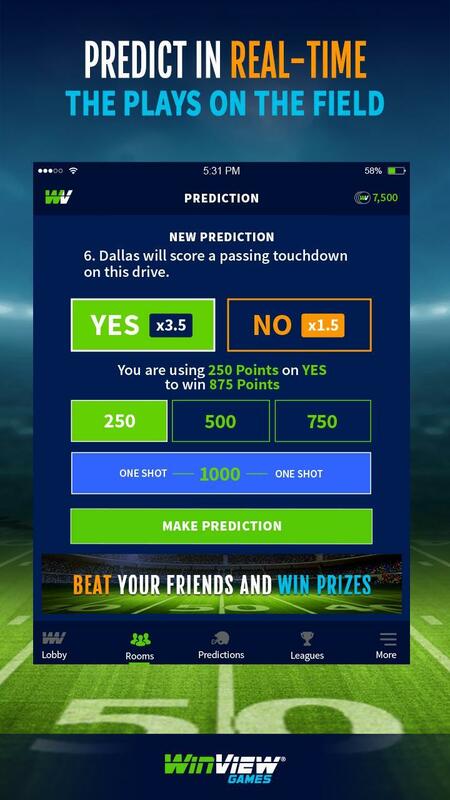 From there it’s all about making live predictions about your favorite games. Best of all, there’s no credit card required! 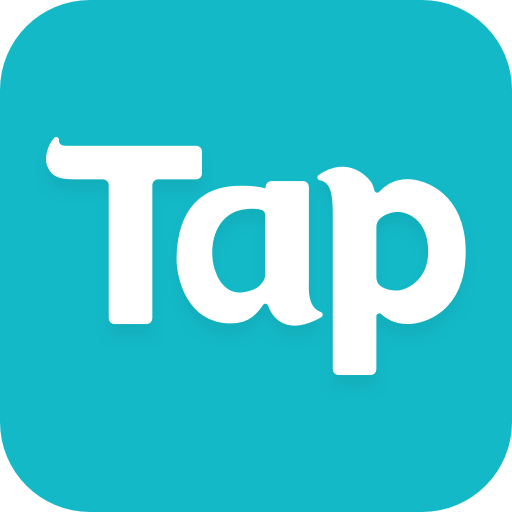 All you need is a Facebook account or an email address. 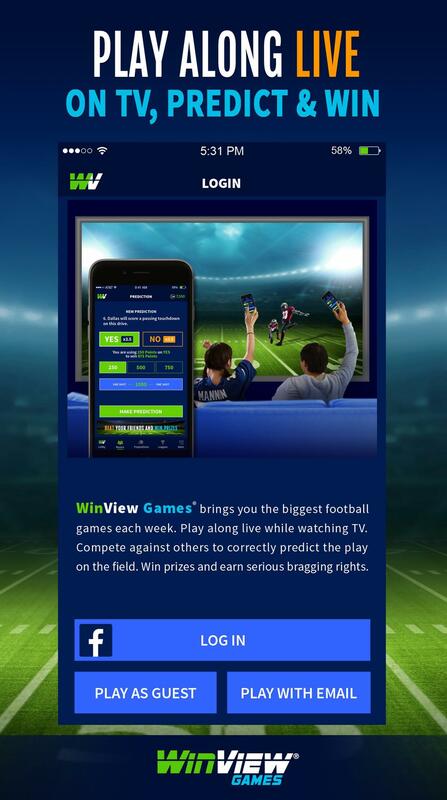 With WinView, you’ve never watched the game like this before! 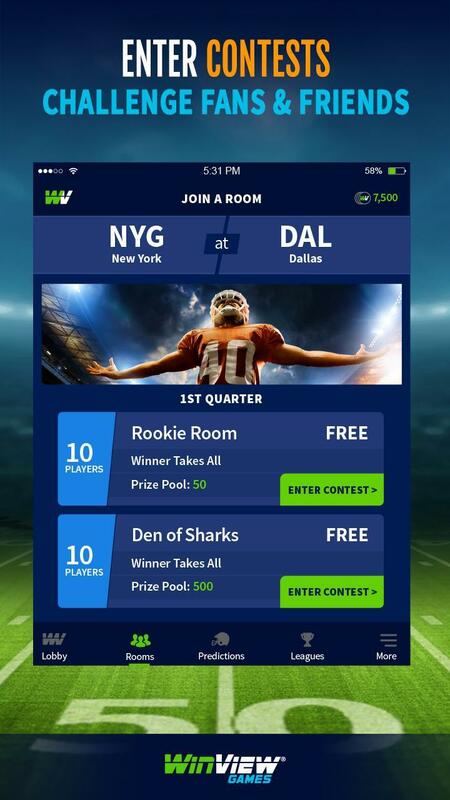 You can invite friends and family to play in Leagues via email, facebook and text, or you can challenge fellow fans in expert contests for higher payouts. It’s not just addictive…it’s revealing. Let’s face it: games last a few hours but bragging rights last forever! So how well do you know the game? 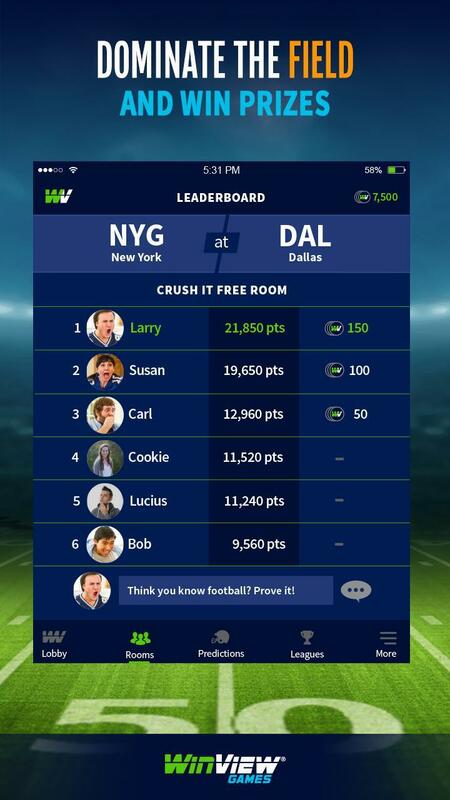 How far can you go making live predictions with WinView? 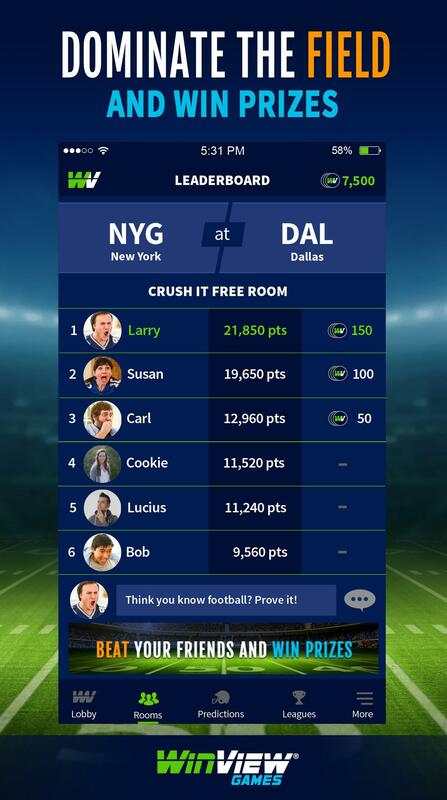 Before long, you’ll be dominating the leaderboard and winning free money by playing along with the sports you were watching anyway. Because when the game is on the line, you better be ready to score! 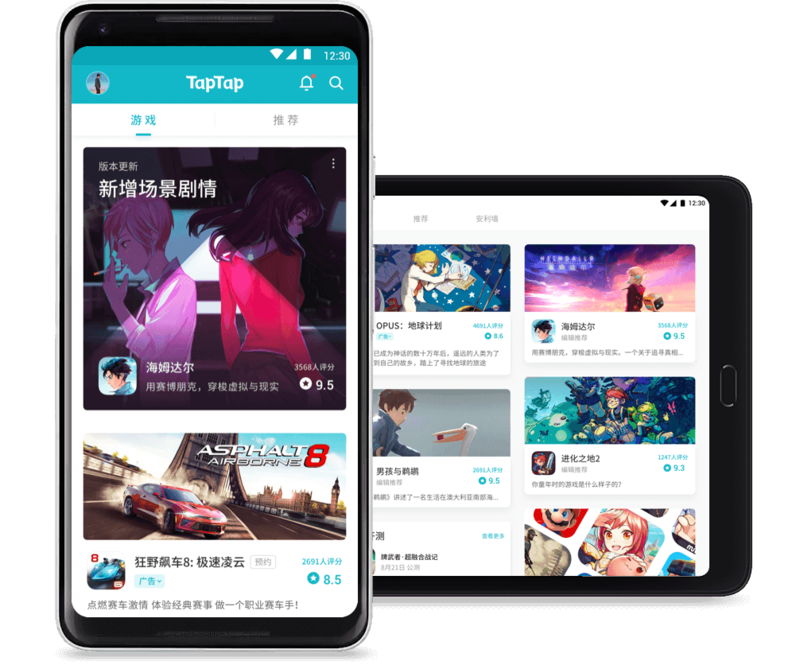 WinView Games is FREE TO PLAY and LEGAL in every state. 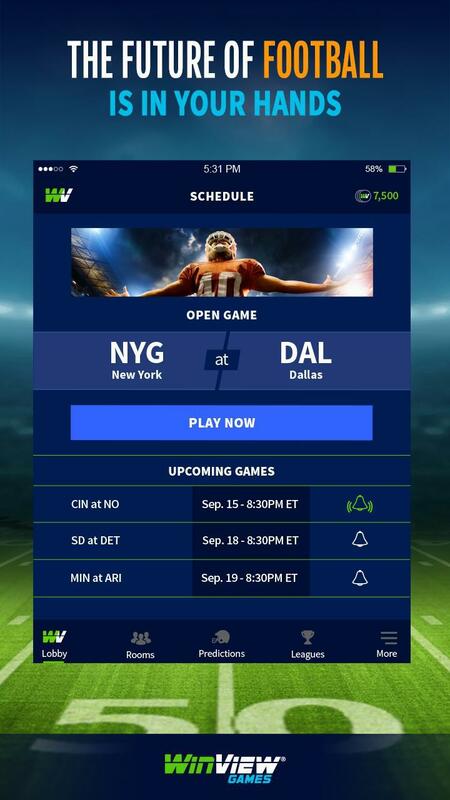 WinView’s live sports predictions game offers CASH PAYOUTS for every quarter-long contest with NO ENTRY FEE and NO CREDIT CARD REQUIRED. 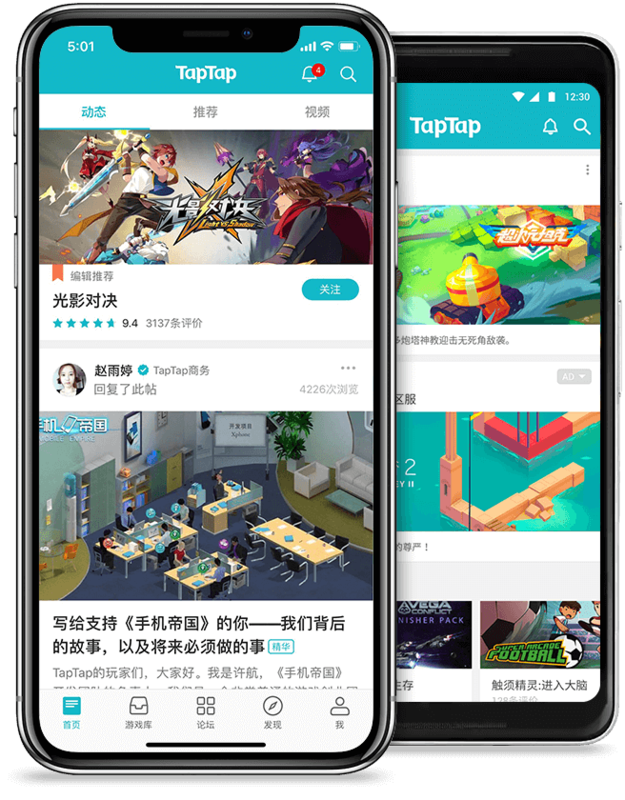 WinView Games is covered by multiple patents. Information on these patents can be found at www.winviewgames.com/legal.